Charming lakefront log cabin. 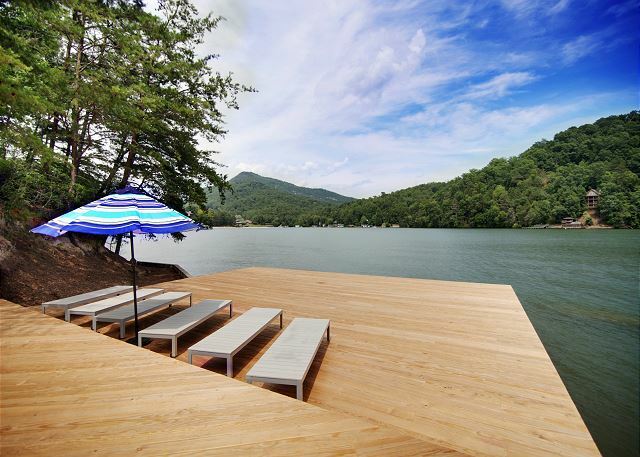 Large lakefront, dock, and pretty views. RBR amenities include indoor and outdoor pools, golf, tennis, private beach and marina, fitness center, restaurants and more! 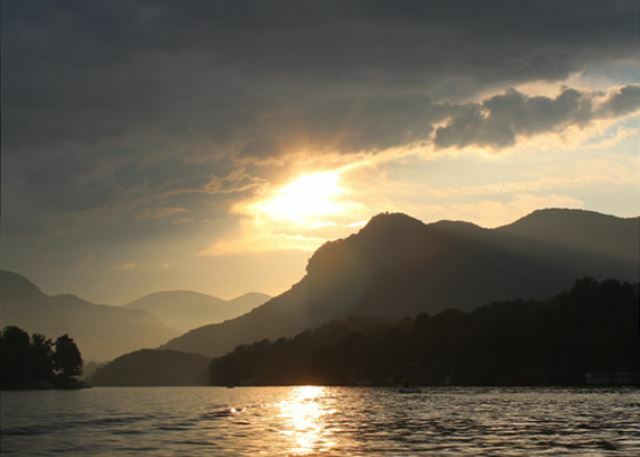 Lakefront at RBR Resort on the north end of Lake Lure. The charming and spacious COTTAGE WALK has 4 bedrooms and 3 1/2 baths and comes with several boats to fully enjoy the lake! 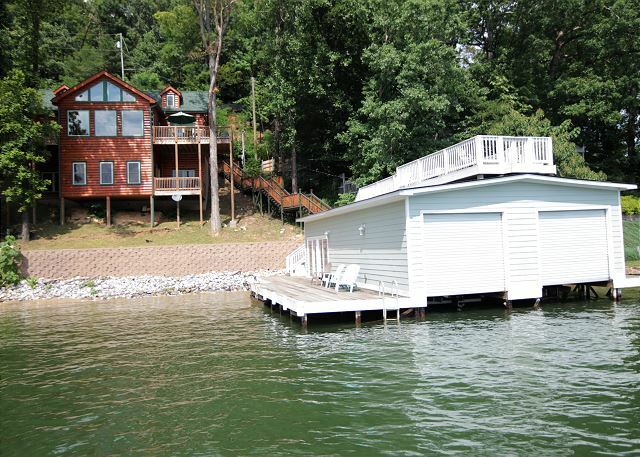 Lakefront, boat house, canoe, pontoon boat, dock, fire-pit, 5 bedrooms, 4 full baths and 2 half baths. Pools, tennis, marina, spa, fitness center, beach, and restaurants all within walking distance. Lake access, pontoon boat, paddle board, stone patios, outdoor cabana & cook center, fire pit and hot tub. Walk to pools, beach and marina on Lake Lure. 5 bedrooms and 6 1/2 baths. Limited availability. One week minimum all stays. 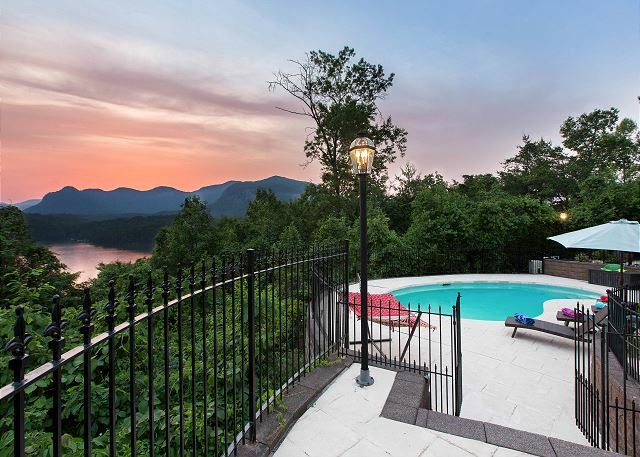 Immaculate and spacious Lake Lure Waterfront home on big body of lake with great views of mountains and lake. Easy access to home and lake. Great boathouse with deck on top Lower level has Game Room with billiard table, table tennis and board games. 5 bedroom, 5 bath with boat house and docks, fabulous views! The boat house has a living area with 2 sleep futons, a galley kitchen and a half bath with outside shower! 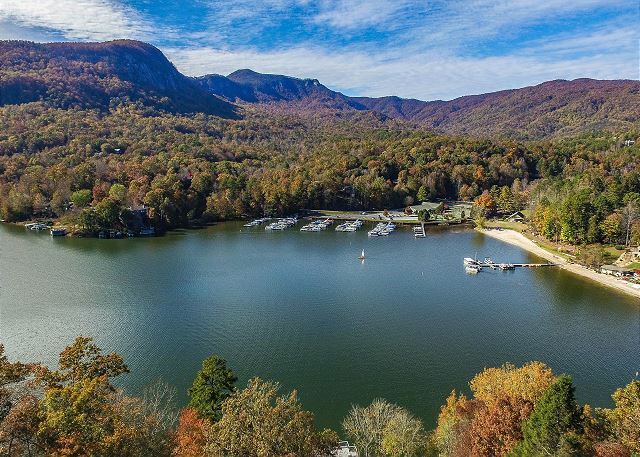 Picture Perfect views of Chimney Rock State Park Mountains and Lake Lure. 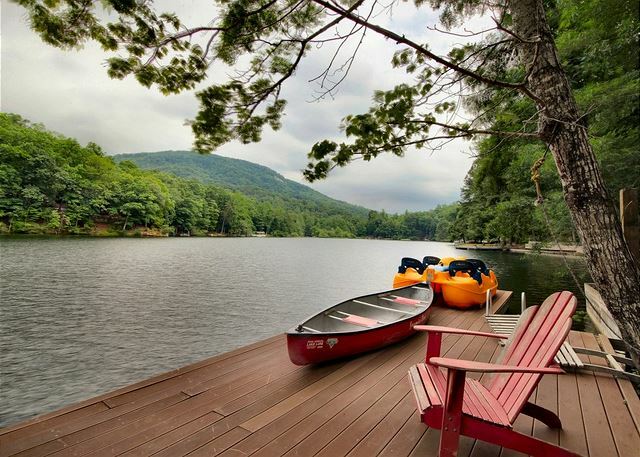 Private pool, Lakefront dock and boathouse with 2 Paddle Boards, 2 kayaks, and a canoe. 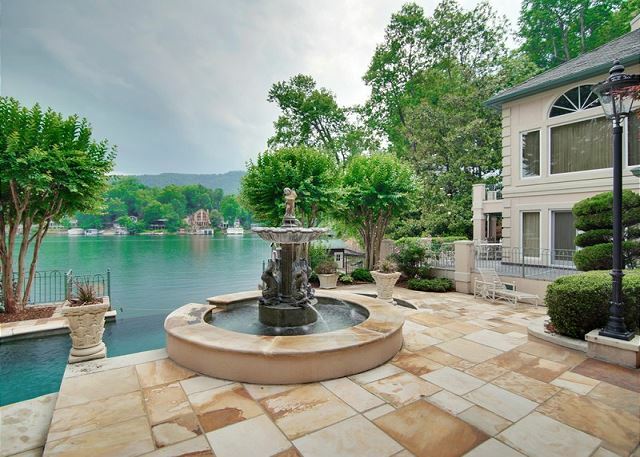 Private lakefront estate vacation rental homes on Lake Lure. This amazing home is on 3 levels and offers spacious Master and Guest Suites, beautiful views, a sandy beach, and a private infinity pool. 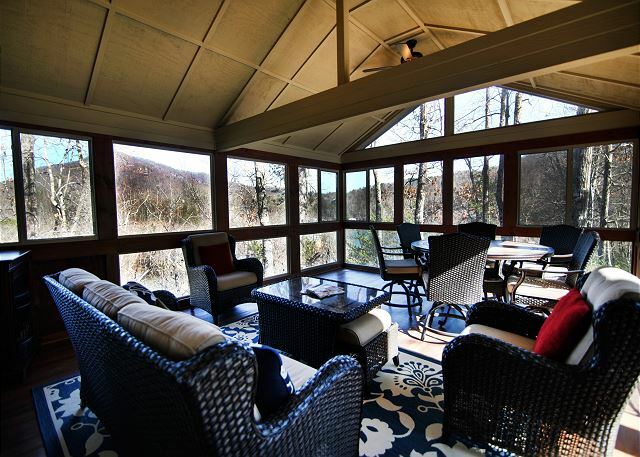 One-of-a-kind architectural gem appealing to anyone with discriminating taste who is looking for a private, peaceful vacation rental home in Lake Lure. Waterfront Dock, kayak, outdoor cook-center. 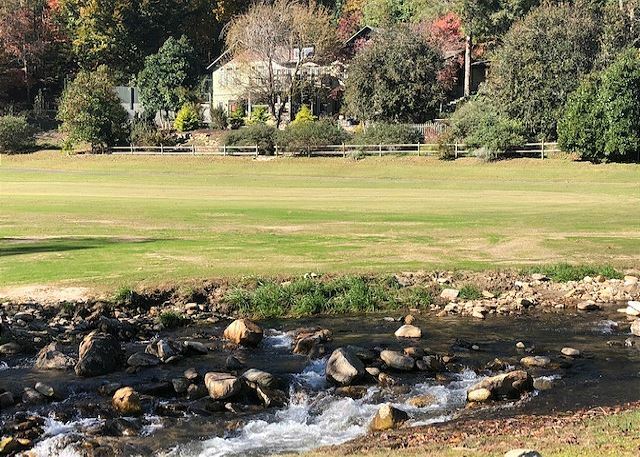 Private Vacation Rental Home with access to lake, use of pools, tennis, spa, beach, fitness at Rumbling Bald Resort within walking distance of all amenities including bistro and restaurant marina with boat rentals and more!